FNP or Leadership Tracks Available. No Residency or Entrance Exams. The Doctor of Nursing Practice (DNP) is a terminal nursing degree that trains students in advanced clinical practice. The DNP can help prepare nurses for a range of roles, including leadership positions in administration, policy-development, and patient care. The Master of Science in Nursing to Doctor of Nursing Practice (MSN to DNP) degree is designed to help those who currently hold an MSN make the transition to doctorate-level practice. While graduates have a variety of career options, the DNP is most often completed en route to a career in advanced practice nursing. A DNP is earned through the completion of courses online, at a physical location, or a combination of the two at an accredited college or university. Students are generally also required to complete approximately 1,000 hours of clinical experience in order to graduate. How long does a DNP take? Most DNP programs are set up to be completed in two to six years. In an MSN to DNP program, program length is significantly shorter than it is for programs catering to students starting with only an RN certification. Since students in a DNP program have previously earned both the BSN and MSN degrees, the MSN-DNP can generally be completed in as few as two years. By choosing an MSN to DNP program, you are able to receive credit for many of your previous courses on your way toward this terminal degree. A DNP is an advanced degree that can prepare you for a number of leadership positions within the field of health care. It has a clinical focus, as distinguished from the research-based Ph.D. in Nursing, and offers a number of concentrations that allow you to tailor your degree specifically to your career goals. It is possible to start a DNP program at a variety of points in your nursing career. RN to DNP, BSN to DNP, and MSN to DNP programs make the degree attainable for professionals coming from almost any kind of educational background. An MSN to DNP recognizes that you already have gained much of the knowledge and skills necessary for DNP competency during your previous nursing degree programs. By receiving credit for these courses, you are able to earn your doctorate more efficiently, which can help you to save both time and money. Is an MSN to DNP right for me? If you are interested in enrolling in an MSN to DNP program, you should first think about the direction you want your career to take. Common job titles for nurses who earn a DNP include — but are not limited to — nurse practitioner, nurse anesthetist, nurse-midwife, and clinical nurse specialist. DNP grads also frequently take leadership positions behind the scenes in nurse administration or teach at an educational institution or in a clinical setting. While an MSN qualifies you for many positions, having a DNP on your resume provides a competitive edge when applying for these jobs. Furthermore, the AACN reported that over the last decade, a push from health care leadership is leading toward a higher level of educational requirements for advanced nursing positions. Though the MSN used to be the norm for advanced practice registered nurses, the DNP is quickly becoming the preference. Why earn an MSN to DNP? Career Advancement: The doctorate degree not only qualifies you for advanced nursing positions and other leadership roles, but can make you more competitive when you apply for these jobs and promotions. Job Security: The BLS reported that demand for advanced practice nurses is expected to increase between 2014 and 2024 by 31%, a much faster rate compared to the average across industries. During this time, the department estimates that an additional 53,400 jobs will be added to the market. Through the accreditation process, governing bodies hold programs to certain standards to ensure graduating professionals are trained in necessary competencies. The American Association of Colleges of Nursing (AACN), which operates through the Commission on Collegiate Nursing Education (CCNE), is the primary accrediting entity for DNP programs. The organization grants accreditation based upon on-site evaluations. It is critical that the school you enroll in is accredited by a regional organization. Also, for specific concentrations, look for licensure or approval by an associated group, such as the way that nurse anesthetic concentrations are approved by the Council on Accreditation of Nurse Anesthesia Educational Programs. When choosing a DNP program, ensure the faculty members are well-versed in the particular areas you wish to study. While most programs touch on similar core competencies in courses, having knowledgeable instructors with both workplace and academic experience will help you to dig deeper into the subjects. If the school you are interested in does not have faculty bios available on the website, contact the admissions department to learn more about who will be teaching your program. More students than ever are pursuing degrees online. In fact, a survey by the Babson Survey Research Group revealed that about one in four students takes at least one remote-learning course. Whether you wish to pursue your DNP online, at a physical location, or through a combination of the two methods, be sure to choose the form that will be most conducive to both your educational efforts and your professional and personal commitments outside of school. Because an MSN is required to enroll in an MSN to DNP program, the length of time that it will take you to earn a DNP may be greatly reduced. The average MSN to DNP takes about two years to complete, but the length is influenced by a number of factors, such as whether you enroll full- or part-time. Tuition can vary greatly by institution, so finding a program that fits your budget is important. However, the price per academic unit does not necessarily need to be an obstacle to enrolling in a school you like. Scholarships and other forms of financial assistance are often available to make the process more affordable for students no matter their financial situation. There are also a number of loan-forgiveness options at both the federal and state level. While it is impossible to predict just how much of an impact a DNP will have on your future career, a good metric is to look at the success of previous students. Schools typically put out numbers that relate to employment rates and other measures of success of their graduates to demonstrate the strength of their programs. To get a good idea of the quality of a particular school and program, see how it stacks up to MSN to DNP programs at other schools. Multiple organizations create rankings of nursing programs to give potential students an idea of how schools are doing in providing the best possible education to nurses. However, keep in mind that rank alone is not enough to make a decision. A lower-ranked program might have other qualities to help you succeed, such as the right concentration and delivery method. The Doctor of Nursing Practice degree is commonly pursued en route to a career as an advanced practice registered nurse (APRN). APRNs are nursing professionals who are typically responsible for providing primary or specialty care to patients. As opposed to an RN, APRNs are more involved in decision-making and are generally seen as leaders in the health care organization at which they are employed. In recent years, demand for health care services has increased. This growth is in part due to the aging baby boomer population, the increased frequency of chronic health conditions that require care, and a rise in the number of people with health insurance. According to data from Gallup polls, the number of adults in the U.S. without health insurance fell from 17.1% in Q4 of 2013 to 11% in Q1 of 2016. 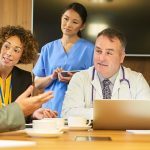 To meet this growing demand for services, health care organizations are looking to APRNs to take a more active leadership role in the workplace, from diagnosing patients to prescribing medication. If you have completed your MSN, you may already have experience working as an APRN. However, that does not negate the value of a DNP. The degree may give you the opportunity to dive deeper into your particular area of focus in the nursing field, giving you the skills and knowledge you need to pursue a leadership position within your organization. The DNP may also help set you apart if you want to apply for a promotion or a position at a different health care organization. Baccalaureate: Typically a four-year degree, the undergraduate level Bachelor of Science in Nursing (BSN) covers the basic principles of nursing, including anatomy and physiology. It is increasingly common among RNs. Master’s: The first of the advanced nursing degrees is the Master of Science in Nursing (MSN). It builds on the foundation created in the BSN program and gives students an opportunity to deepen their knowledge in a specific area. It generally takes approximately two years to complete. Doctorate: The other terminal nursing degree is the Doctor of Philosophy in Nursing (Ph.D.). While similar to the DNP, it is more research-based rather than clinically focused. Ph.D. students often go into research following graduation. If you have already completed a BSN and MSN, choose between the DNP and Ph.D. to further your education. The decision will largely be based on whether you want to obtain a clinical or research position after graduation. The responsibilities of a family nurse practitioner are similar to those of a general practitioner. Like physicians, FNPs provide primary care and are authorized to perform actions such as diagnosing conditions, ordering tests, and prescribing medication. According to the American Association of Nurse Practitioners, the family clinical focus is the most common, with about 55% of certified NPs falling into that category. The role of the adult care nurse practitioner is similar to that of the FNP, but it focuses primarily on adult and geriatric care. It is a less-common, but nonetheless popular, area of concentration, with 17% of NPs choosing this area of study, according to the AANP. While nurse practitioners focus on providing care to individual patients, public health nurses are responsible for promoting and protecting the health of large populations. They may work to identify and solve specific problems or help educate communities about important health topics such as immunizations and infection prevention. While patient care is important, nurses are also well-equipped to fill critical roles behind the scenes. Nurse administrators help manage and organize nursing teams to ensure that care is provided safely and efficiently. While the majority of births in the U.S. are still aided by a physician, the use of midwives is on the rise. According to recent data from the National Center for Health Statistics, about 12% of vaginal births were attended by nurse-midwives and certified midwives in 2014, the American College of Nurse-Midwives reported. But nurse-midwives are not only involved in labor and delivery. They also provide both primary and specialty care for women of all ages. Who is the MSN to DNP degree program for? A DNP degree is for any registered nurse who wishes to pursue an advanced role in health care, generally in either a clinical or academic setting. While nurses can earn a DNP no matter their educational background, already having an MSN significantly speeds up the process. The MSN to DNP track recognizes that nurses who have earned a master’s degree have already learned many of the skills and information required by the set doctoral competencies. If you have an MSN, this fast-track program can help you to complete your DPN more efficiently, giving you the opportunity to save both time and money. When you enroll in an online program, you are generally able to complete your assignments and listen to lectures on your own schedule. That style of program is known as asynchronous. Programs that take place at a physical location — and some online programs as well — are synchronous, meaning that you are required to be at a certain place at a certain time to participate in the course. In an MSN to DNP program, you will work and learn alongside classmates with similar learning goals. Depending on the program that you enroll in, you may be with the same students for your whole career (cohort) or take courses with a different group of people each term (non-cohort). Although coursework in an online program is completed remotely, hands-on learning is still an important part of your DNP, as it provides opportunities to practice the skills you are learning. The standard MSN to DNP program requires some degree of experiential learning. To accommodate the format of an online program, students are typically able to do their clinical hours at a location near their home under the supervision of a staff member who has been approved by the program faculty. Salaries for advanced practice registered nurses also tend to be significantly higher than those of the average RN. The BLS reported that in 2014, the mean annual salary of an APRN was $104,740 per year, compared to $67,490 for an RN. Even if you are already working in an APRN position, completing a DNP degree can significantly increase your earning potential after graduation. For example, a survey by the ADVANCE Health Care Network revealed that among NPs, those with a DNP degree reported the highest salaries. NPs with a DNP made an average of $96,807 in 2012, compared to the $92,867 those with an MSN made. With a DNP, you may likely improve your chance of earning a salary that falls at the higher end of those wage ranges. The length of an MSN to DNP program varies by school, but it usually takes around two years to complete. The credits you previously earned in an MSN program make the process of earning a doctorate shorter than the related BSN to DNP or RN to DNP tracks. During your time in an MSN to DNP program, you will build on your existing knowledge of health care and nursing best practices through core curriculum and additional elective courses. While the precise number of courses you are required to take in an MSN to DNP program varies by school, the fact that you have already completed a master’s means you will need to complete fewer courses than the average student. Most MSN to DNP programs require students to complete between 35 and 45 units by graduation. What should I look for when considering an MSN to DNP curriculum? Your course curriculum should prepare you for life after graduation, supplying you with the knowledge and skills you need to succeed on the job. Ultimately, compare the curriculum to your career goals. If the coursework is not going to help you succeed after graduation, it is likely not the program for you. The DNP degree is specifically tailored to prepare nurses for a career in clinical practice. Nurses who are interested in a research-based position should consider pursuing the non-clinical Ph.D. in Nursing. While the focus differs, both degrees can prepare you for a career in nursing education, which is an area that currently has particularly high demand. Specific courses in an MSN to DNP program will vary depending on the educational institution in which you enroll and what concentration you choose. However, there are certain educational requirements that form core competencies across programs and schools. While the majority of courses in an MSN to DNP program are based around these core competencies, and their completion is required for graduation, students are typically able to choose one or two elective courses in an area in which they are particularly interested. Why would I choose a particular elective? Electives are an important part of your DNP program. Though they are not part of the core courses that are required for competency, they provide an opportunity to take a deeper dive into a particular subject that interests you. They may or may not be related to your concentration, depending on what you want to gain from the additional courses. It may be a chance to learn more about your specific area of study, or you could use electives as an opportunity to gain knowledge of a different subject that adds variety to your educational background. Depending on the online MSN to DNP degree program you choose, you may be offered the opportunity to choose a concentration, specialization, or track. While the term “concentration” is typically more commonly used, these terms typically refer to the same opportunity to direct the focus of your studies. If applicable, the concentration or specialization you choose will dictate which courses you take. A concentration can help you specialize your practice and the direction of your career. While concentrations are not necessarily required, they are common in MSN to DNP programs. The most-common non-concentration degree option is usually a focus in advanced nursing practice, which is a general area of study that could prepare you for more than one position after graduation. he right concentration is critical, because it will tailor your degree to your specific interests and career focus. Most concentrations are closely tied to particular careers. While your options will vary by school, there are a number of concentrations that are common among different programs. Some of the most popular are nurse-midwife, family nurse practitioner, adult care nurse practitioner, nurse anesthetist, public health nurse and nurse administrator. In a Nurse-Midwife MSN to DNP program, students are trained to assess and manage all the issues involved in providing care for women. Labor and delivery are important elements, but nurse-midwives provide care at every stage of female health. The adult care nurse practitioner is similar to the family nurse practitioner but focuses on primary care for adults and geriatrics. Students are also trained in identifying problems in health care systems and creating strategies to ensure patient safety and quality care. A nurse anesthetist concentration trains students not only in anesthesia, but also in patient care pre- and post-surgery. Students learn to create care plans for individual patients and monitor vitals before, during, and after the procedure. For students who are interested in working behind-the-scenes in a health care organization, the nursing administration concentration may be the right decision. The specialization covers topics such as human resources, health care policy, and informatics to prepare the graduate for a career organizing and managing nursing teams. Gaining hands-on experience while you pursue your DNP is an important part of earning the degree, as potential employers will likely ask about the clinical work you completed over the course of your program. A field placement provides an opportunity to practice the skills and strategies you are studying before you need to use them regularly after graduation. While specific requirements may vary depending on the program in which you enroll, the majority require the completion of approximately 1,000 hours, in addition to the educational coursework, to graduate. If you are continuing to work in nursing while you earn your DNP, some of that workplace experience may count toward your required hours. 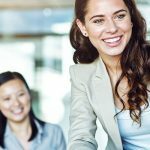 While learning everything that you can from your coursework is critical, gaining hands-on experience is also an important part of mastering the skills and techniques that you will need to succeed in your career after graduation. As students pursuing this degree track have already completed their MSN, the doctoral level their only remaining option for a nursing-specific degree. However, the DNP is not the only degree that falls into that category. Nurses who wish to pursue a terminal degree but find that a DNP does not meet their academic needs can opt instead to enroll in a Ph.D. in Nursing program. While completing a DNP degree sets you up to pursue a number of rewarding careers, it is not the only academic path that can lead to a position helping people in health care. If you enjoy promoting health on a community, national, or even global level, you may want to consider a doctorate degree in public health. These programs cover important topics such as community health, public relations, and health informatics to prepare professionals for a career in public health. Data is being used at an increasing rate in health care to improve patient care. If you are interested in the way numbers and information can be leveraged to improve best practices and decision-making in health care, a career in health informatics could be a good fit for you. To make the transition to a career in this area, a Ph.D. in Health Informatics in addition to your nursing background could set you on the right path. Typically, nursing programs are accredited at either the regional or national level. The primary accrediting entity for DNP programs is the American Association of Colleges of Nursing (AACN), which operates through the Commission on Collegiate Nursing Education (CCNE). Individual concentrations are often also accredited by organizations that are specific to their particular subject. Licensure requirements enforce certain standards for nursing professionals. First, aspiring nurses must earn certification from the National Council of State Boards of Nursing through the National Council Licensure Examination test. To work as an RN, nurses typically then have to meet additional requirements based on the state in which they work. As a student who has already earned an MSN, you are likely already licensed to practice in the state of your choice. However, if you are not already working in advanced practice nursing and wish to pursue a career in the field, you will need to go through additional certification upon completion of your DNP degree depending on the position that you will hold. If you plan to work as a nurse practitioner after completing your MSN to DNP program, you will need to first obtain board certification in the specific area in which you plan to practice, such as family practice or geriatrics. You will then need to complete state and federal credentials and maintain certification through continuing education credits. The largest national professional membership organization that offers full services — including certification and continuing education — for NPs is the American Academy of Nurse Practitioners. To practice as a nurse anesthetist, you will need to complete certification through the American Association of Nurse Anesthetists. This certification must be renewed through continuing education courses every two years. Once you have completed your higher degree, you will need to be certified by the American Midwifery Certification Board to work as a nurse-midwife. It is the same organization that also provides certification for nurse-midwife programs at the graduate level. Nurses have played an important role in caring for and healing patients for centuries. The field of modern nurses is largely considered to have started with the work of English social reformer Florence Nightingale, a nurse whose work during the Crimean War in the 19th century set the framework for future patient care. She later founded the first secular school for nursing and increased the acceptance of female nurses. Clara Barton, a contemporary of Nightingale, did similar work forwarding the field of nursing in the U.S. during the Civil War and later founded the first American chapter of the Red Cross. This trend toward increased education has been encouraged by the Institute of Medicine, which set a goal of having 80% of nurses complete a BSN by 2020. 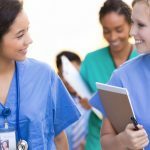 Because this undergraduate degree is becoming more of a standard in the field, nurses who wish to obtain leadership positions or otherwise advance their careers are now pursuing MSN and DNP degrees. Taking out student loans is a common way to pay for your education. While you can typically work out a plan to pay these back over a period of 10 to 15 years, there are also multiple options for earning loan forgiveness while working as a nurse. Disadvantaged Faculty Loan Repayment Program (DFLRP): Nurses from disadvantaged backgrounds can apply for this program, which provides loan payment assistance up to $40,000 in return for teaching at pre-approved health professions and/or nursing schools. The State Nursing Assumption Program of Loans for Education (SNAPLE): This California-based program allows nurses to earn up to $25,000 of loan payment assistance for teaching at a regionally accredited college or university in the state. The Army Nurse Corp: Nurses can earn loan forgiveness in exchange for time served in the military by earning their degree through the Army Nurse Corp.
What is the difference between a DNP and Ph.D.? Both are terminal degrees, but the DNP is a practice-based doctoral degree accredited by the Commission on Collegiate Nursing Education (CCNE), while a Ph.D. is a research-focused doctoral degree. The DNP will better prepare APRNs for their current roles given the calls for new models of care delivery and the growing complexity of health care. The DNP is designed for nurses seeking a terminal degree in nursing practice and offers an alternative to research-focused doctoral programs. DNP-prepared nurses will be well-equipped to fully implement the science developed by nurse researchers prepared in Ph.D., DNS, and other research-focused nursing doctorates. If I have my MSN, why should I get a DNP? Due to the increasing complexity of health care, there is a strong movement across the United States to require a DNP for entry into advanced practice roles. Although there is no regulatory change at this time, the AACN identifies the Doctor of Nursing Practice degree “as the most appropriate degree for preparing advanced-practice registered nurses (APRNs) to enter clinical practice.”  Obtaining a DNP now will prepare nurses with the highest credentials should this become a regulatory requirement in the future. Are a lot of nurses getting their DNP degrees? What would an MSN to DNP degree allow me to do? What factors should I consider when comparing DNP programs? Flexibility: Is the program on campus or online? If online, does the institution required synchronous sessions? Are there optional synchronous sessions? Fees: Are there any additional fees beyond tuition? What are the admission criteria for an MSN to DNP? To be admitted into an MSN to DNP program, applicants will need to hold an MS or MSN from an NLNAC/CCNE-accredited nursing program and must hold current board certification as an advanced practice nurse. Admission requirements will vary by program, but typical requirements include transcripts, a minimum of a 3.0 GPA, letters of reference, and possibly a written essay and interview. Some institutions also admit students on a conditional basis with a GRE score. For example, if the applicant has a GPA below their standard, they may admit a student on a conditional basis after reviewing a GRE score. Are scholarships available for DNPs? The largest provider of student financial aid in the nation is the Federal Student Aid office in the U.S. Department of Education. You can apply for federal financial aid through the Free Application for Federal Student Aid, commonly known as FAFSA. There are numerous other scholarships available, but you will need to research which opportunities you’re qualified to pursue. Many states, associations, websites, and businesses award scholarships based on specific criteria. Do your research and apply for any scholarships you’re qualified to be awarded. How long does it take to complete an MSN to DNP? Completion time ranges from two to three years depending on the program. How many credit hours are required for MSN to DNP programs? Credit hours for an MSN to DNP degree will vary by university. The average number of credit hours, based on a survey of 10 universities, was approximately 42. You will want to consider accreditation of the university, the nursing department, and the actual MSN to DNP degree. The professional accrediting body for the baccalaureate, master’s, DNP, and post-graduate APRN certificate program is the Commission on Collegiate Nursing Education (CCNE). The CCNE is recognized as a national accreditation agency by the U.S. Secretary of Education. Programs can also be accredited by the Accreditation Commission for Education in Nursing (ACEN). The ACEN provides accreditation for all types of nursing programs, including clinical doctorate, master’s/post-master’s certificate, baccalaureate, associate, diploma, and practical nursing programs. The ACEN accredits nursing programs in secondary, postsecondary, and hospital-based governing organizations that offer certificates, diplomas, or degrees. What are the goals of CCNE accreditation? To hold nursing programs accountable by ensuring they have mission statements, goals, and outcomes that are in line with what the profession requires. To ensure programs deliver a quality education while living up to their mission and goals. To assess and ensure that a nursing program meets accreditation standards. If I already have my MSN, what can I expect from the DNP curricula? A majority of currently available DNP programs build upon previous MSN experience and education by adding high-level, evidence-based practices, quality improvement, systems leadership, and more. What type of courses can I expect to take? Are there any prerequisites for an MSN to DNP degree? To enroll in an MSN to DNP degree program, you will need a master’s degree in nursing. Universities will want to verify that the program you graduated from was an accredited nursing program. Regardless of your undergraduate degree, to enroll in an MSN to DNP program you will need to provide proof of a current nursing license. Other university requirements will vary, so be sure to check with your admissions advisor if you meet all prerequisites for enrolling in a specific program. Online synchronous learning happens in real time. There is a required time that you would need to log in or be present to participate. For example, you would log in to watch a faculty presentation at a specific time for a live question and answer session. In an asynchronous online format, you are not required to be online at a certain time, allowing you to participate according to your schedule. There will still be due dates, but students are solely responsible for their own time management in an asynchronous environment. Will clinical experience help me with my career? Clinical experience has the potential to create strong job recommendations and even lead to careers after graduation. Be sure to make the most of your clinical experience by being proactive in inquiring about procedures you would like to practice and asking questions that you can’t easily find the answers to on your own. It is better to learn as much as you can during your clinical experience so you can be prepared once you have a job. Making a good impression with your preceptors creates a network you may be able to lean on when searching for a job upon graduation. Do I have to find preceptors on my own, or will my school help? Support for finding a preceptor will vary based on the university. The institution may or may not have a list of affiliated sites/personnel that you can reach out to about considering a preceptor role. Regardless, you should be prepared to start networking early to secure preceptors for your clinicals. Inquire with a guidance counselor about the support provided for students when finding a preceptor. How difficult is it to find a preceptor? Consider your personal network of doctors, friends, and family. Inquire with NP groups in your state that may offer guidance or support in securing a preceptor. Explore websites with preceptor directories. Be creative when considering sites. For example, consider Planned Parenthood or a nurse midwife for women’s health clinicals, or nursing homes for a gerontology clinical. Inquire with an admissions advisor about preceptor requirements before beginning to look for preceptors. How will my school know I am completing the clinical experience? This will vary by university. In general, you will need to have the clinical site approved by the university. In addition, some universities use software that preceptors, professors, and students can access. Others will require campus visits or have scheduled visits from advisors to review the sites. Inquire with an admissions advisor to determine the process followed by each university. How do I determine state licensure requirements?